IBL Master doesn't work properly if installed with Daz Connect. After complaints, Daz took down the Daz Connect installer, But if you bought it when it first came out and installed with Daz Connect, uninstall and install with DIM or manually. Edit: Also check the documentation for the minimum Daz Studio version that IBL Master works with. Be sure you aren't using a version too old. I want to thank all kind people here, who helped me. I reinstalled IBLM manually and it works perfectly (I hate DIM). Render is 2-3 times faster, though still grainy (perhaps because of shaders). I have one more question: is it possible to use mesh lights with IBLM In 3DL? I want to thank all kind people here, who helped me. I reinstalled IBLM manually and it works perfectly (I hate DIM). Render is 2-3 times faster, though still grainy (perhaps because of shaders). I have one more question^ is it possible to use mesh lights with IBLM In 3DL? To handle the grain issue you need to increase the IBLM light diffuse samples from default 16 to even 128 or more, depends on the HDRI and light angle. You can try to use progressive rendering to compensate for the increased render times, but note that progressive mode resets the pixelfilter to box 1x1 pixel width, so non progressive will give you the best quality. Thanks again. I used Omnifreaker's mesh lights and they work fine. Just for the information: with some shaders gamma correction doesn't work good. I prefer to turn it off. Especially when rendering low resolution objects. And I use progressive render because filters make too much distortion. To get less grainy renders I just increase occlusion samples in shaders settings and it works. One more question: is there shadowcather tools in IBLM? There is the IBLM groundplane with a shadowcatcher applied to it, it loads with the IBLM, you should find it in the scene tab. You can save the shadowcatcher shader to apply it to other objects, if needed. Did you use too wide a pixel width for the filter? Try gaussian with 2x2 width! Thanks! Last question for today. 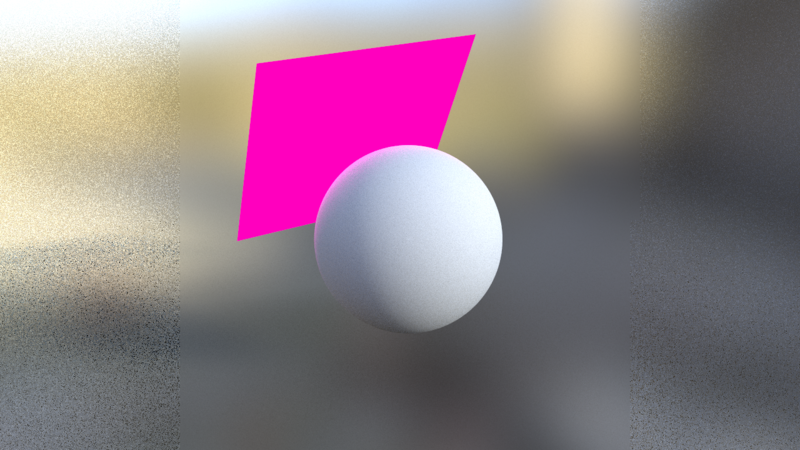 In previous post you wrote that it is possible to create HDRI by yourself to light inner spaces. Is there detailed manual or FAQ? I want to get UberEnvironment effect, when shadows are casted more evenly. I have used GIMP to create a number of maps for that purpose. They need to be in 2x1 pixel ratio (4000x2000 or 8000x4000 etc) If you hide the env. sphere you don't need a large map as it won't be seen anyway. Try creating a smooth gradient with dark at the bottom to white at the top. Grayscale will be sufficient as you can tint it in the IBLM light color slot. Use RGB space even if the map is desaturated. Gray scale will be only 256 colors. Jpeg will work if you just use it for ambient occlusion. If you want true HDRI you need to save it as a 16 Bit .hdr. That can be done in the latest update of GIMP, which I don't have, so can't help with the details. Experiment;) And note, for indoors, you need to decrease trace distance for the IBLM light, or else the walls will block the light from the dome. IIRC the default is 350, try 200 and go from there. Also if you use jpeg:s you need to up the diffuse samples, because it's a low definition range image, or you will have grain issues. With this method you will need additional lights to cast direct light. Hi again and thank you for great support! I succeeded much with IBLM. There is only one thing I fail to get. 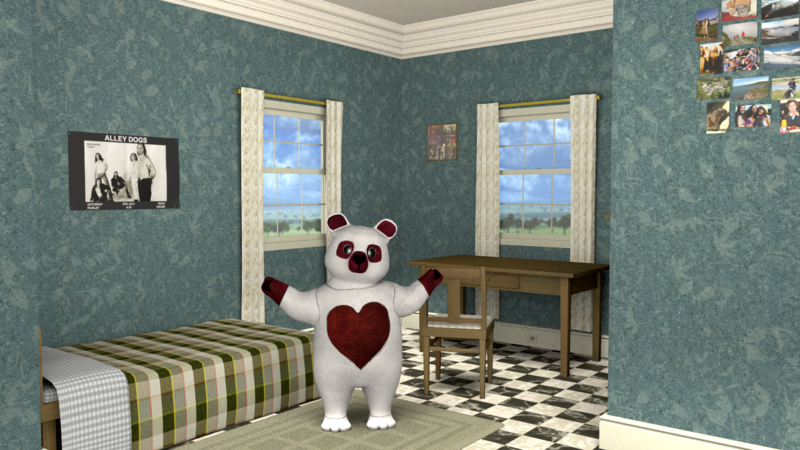 When I render inside totally closed room and set trace distance lower than 350 (the default one), there are no shadows on the walls from different objects and figures. It disappoints me a bit, because I have to render room without ceiling to get natural look, then render ceiling itself and then join them in Photoshop. Is there some magic to fix it? Or I’ll have to make it in two steps all the way? I will do as you described! Thank you!